Welcome to TriFit Evolution! We are a personal training and endurance coaching (triathlon and running) company based in Arlington, Va. that specializes in helping triathletes, runners, and everyone else achieve their personal fitness goals. We utilize functional strength training to help athletes and non-athletes alike become stronger, improve performance, and become more resistant to injury. Maybe you are looking to lose that extra body weight, or come back from injury. Do you want to get a race PR or simply play with the kids pain-free again? Whatever your fitness goals, TFE can help! ​The Athlete's Game Changer podcast. Listen to his story and advice for novice athletes around the power of work ethic, and the three keys to becoming a successful athlete of any level. 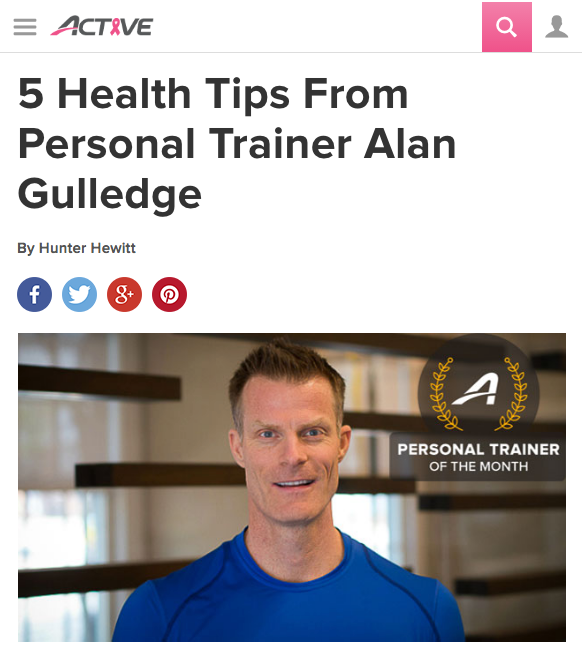 Trainer & Coach Alan Gulledge has a feature article at Active.com. Check out his Five Health Tips!